My little Layla turned a whole year old yesterday, scary times!!! 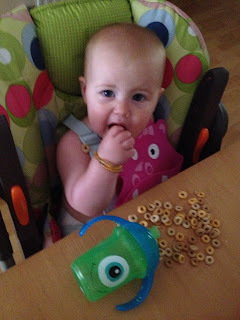 As she grows up, she is becoming more and more independent and one of things she insists on doing, is feeding herself. 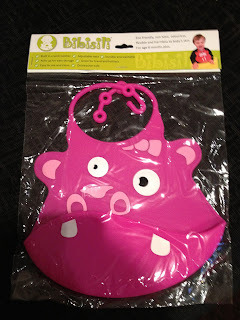 The lovely people at Bibisili kindly sent me one of their bibs to review, their slogan is, "more fun, less mess", I really like the idea of this. Bibisili are silicone bibs designed for both babies and toddlers to help catch any crumbs and dropped food. These funky bibs come in a range of designs, I picked Hettie Hippo, mainly because it was pink, what girl doesn't like a splash of pink?? I love how brightly coloured the bibs are, suitable for babies from 6 months onwards, they ideal for when you start weaning your little ones. The animal prints make them really eye catching and ultimately fun for your child. However as well as stylish, they remain very practical too. Made from 100% silicone, they are free from lead, BPA and Phthalates, this means they are non toxic so completely harmless to your baby's skin. The material that the bib is made from is very soft and flexible, not stiff like a lot of other bibs I have tried in the past. It has an adjustable neck, meaning it grows with your little one. The adjustment is different to ther bibs too, normally you do bibs up by either poppering, velcroing or tying but the bibisili is cleverly adjusted with a hook and loop system, there is hook one side and three loops the other to pop the hook in. This I found a little difficult to to the flexibility of the material but once in, it provided a great fit around Layla's neck, as seen in the picture below. The built in crumb catcher means less cleaning for mummy when meal time finishes, ok not all crumbs are caught but nothings perfect and it definitely catches the majority!!! Priced at £6.99 per bib, I don't think it is unreasonable as you only really need one, possibily two for your child due being wipe clean. I love them, the bright designs are suitable for any child and of course older toddlers could always pick which design they want themselves, they've even got one for Christmas and you know how quickly that comes around!!! 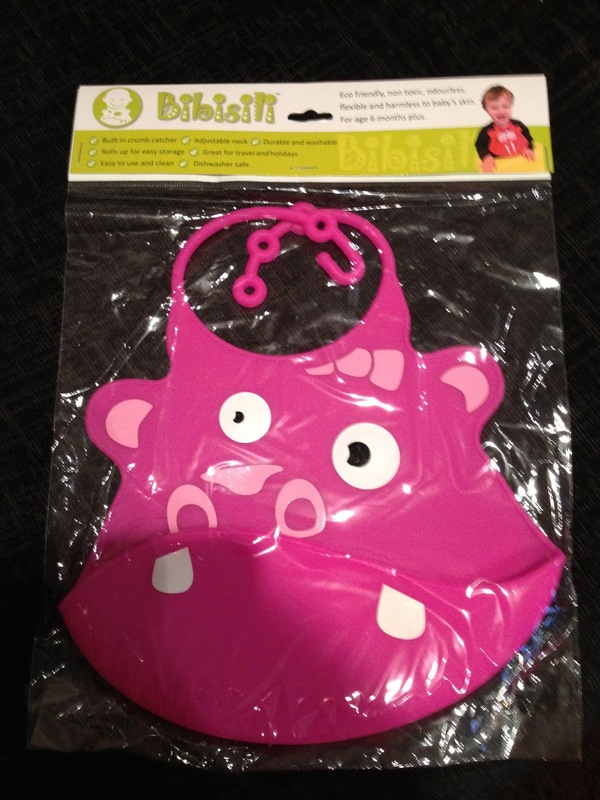 Now Bibisili have very kindly allowed me to give away one of their bibs to one of my lucky readers. The winner will even get to pick which design of bib they would like!! All you have to do to have a chance of winning is fill in the rafflecopter form below. The competition is open to UK residents only and will end on the 18th of August at 11.59pm. Hettie Hippo is definitely my favourite! Poppy Pig - but they're all gorgeous! Monkey, as it is cute and cheery. Marvin the Monkey is delightful but all the designs make me smile. The shape of the bibs is very practical but whoever added the art work is so clever - these eye-catching bibs would also look great helping to decorate a nursery room. I would choose the giraffe design. I like zoe zebra !!! Margin the monkey would be fab! I would choose Marvin Monkey. I bet the baby truly loved the new bib. The little one seemed to be enjoying.